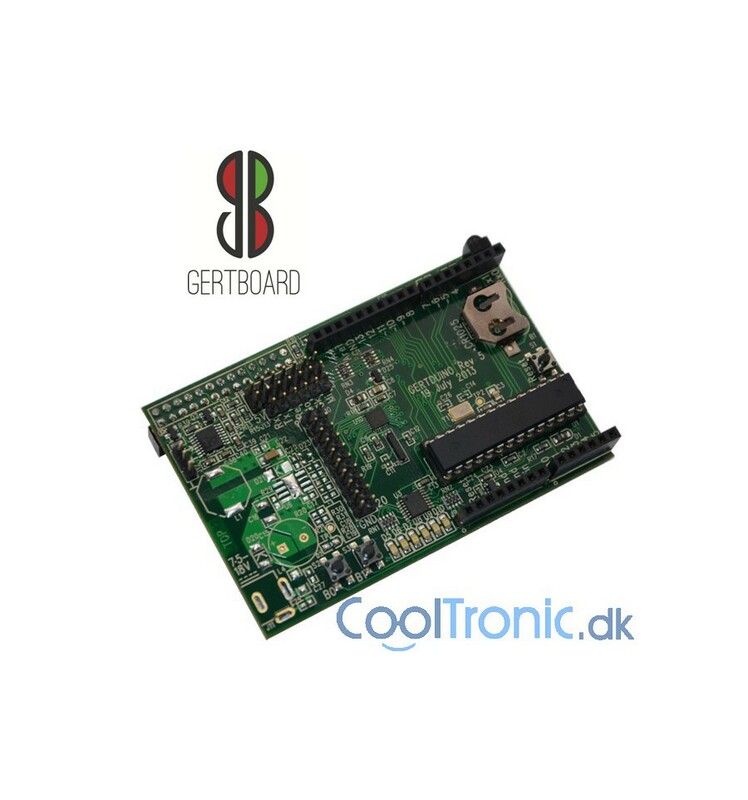 The GertDuino is a Raspberry-Pi add-on board which offers the same functionality as an Arduino Uno, but with some extra added features. 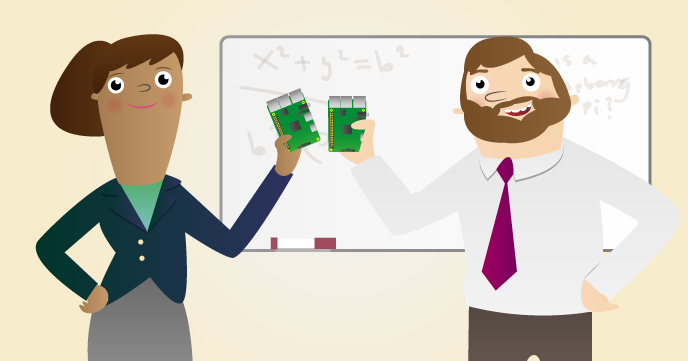 Ved at købe denne vare kan du samle op til 19 loyalitetspoint. Din kurv total 19 point som kan konverteres til en rabatkupon lydende på 3,80 DKK. 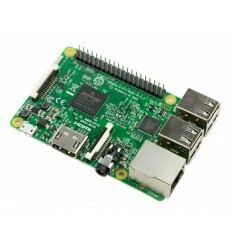 The GertDuino is a Raspberry-Pi add-on which offers the same functionality as an Arduino-Uno but with some extra features- connects to Raspberry Pi, and has dual Atmel MCU capability onboard. 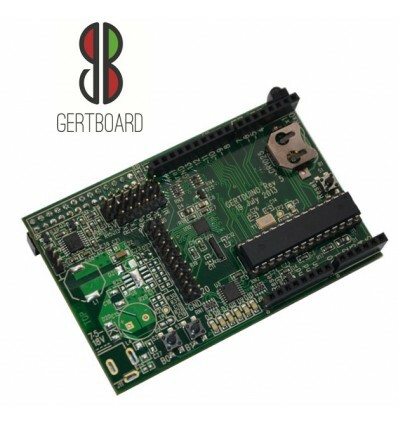 GertDuino offers onboard Atmega 328 shield hosting which will execute Atmega 328 code written and compiled on the Raspberry Pi. 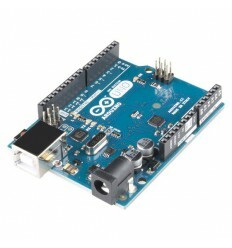 The onboard Atmega 48 provides RTC, IrDA front-end, and additional computational capability.